China’s largest drone maker, DJI faces a $150 million dollar loss after a large number of employees committed fraud in a series of corruption cases. The company is currently investigating inflated product prices in their supply chain. So far, 16 people have been reported to the authorities. We have reached out to DJI for their official response to this story. The Chinese drone maker told us that they will be sending out an official statement as soon as possible. Update – DJI issued an official response. See below for details. DJI is investigating members of its staff regarding allegations of corruption that inflated product prices. The fraud had surfaced as a result of DJI’s own routine audits in 2018. In total, more than 100 people are involved and 45 employees and former employees have been placed under investigation. Some 16 people have been reported to the authorities. The losses are expected to exceed CNY1 billion ($150 million USD), which, according to this news source, is twice the amount of the firm’s year-end bonus in 2017. An industry insider has said that DJI is bringing together resources to build a “professional anti-corruption team.” to not only flush out conspirators in this case but to prevent further acts of corruption. The Chinese drone maker has handed over to law enforcement 16 of the former employees and another 29 people have been dismissed. Most of the workers allegedly involved in the fraud are part of the research and development department and procurement division. A further 19 employees work in the sales, administration and design departments as well as in factories. According to information from a report, the average purchase price of components was inflated by more than 20 percent due to the supply chain corruption. Reuters reported that the state-run China Securities Journal cited an internal company report on corruption, which said that more than 40 people had been involved. SZ DJI Technology Co Ltd, also known as DJI, is the world’s largest drone maker and is privately-held. According to DJI’s human resources department, the company employed 12,000 people at the end of 2018. A number that is expected to grow to 14,000 by the end of 2019. We have reached out to DJI for their official response to this breaking news story. 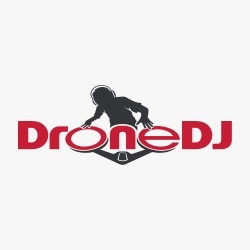 DJI has informed DroneDJ that they are working on sending out an official statement as soon as possible. We will continue to update this story as the news develops. Update: DJI released an official statement on 1/21/19.